A night view over Saligo Bay on the west coast of Islay with the additional bonus of the trails of the many many stars you can see out here. This is the movement of the stars in about an hour, some brighter, some weaker. The stationary light you can make out on the horizon is Dubh Artach lighthouse. 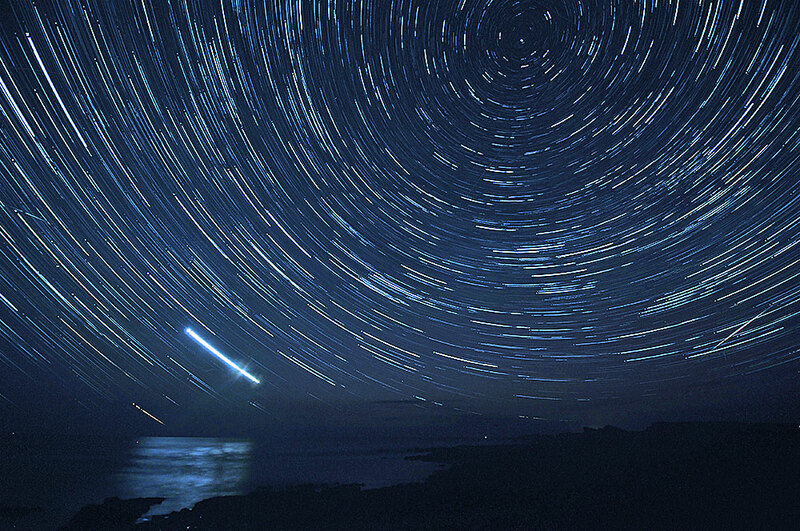 This entry was posted in Beaches, Landscape, Night, Repost and tagged Islay, Saligo Bay, startrails by Armin Grewe. Bookmark the permalink. Even is this were taken somewhere else than at Saligo Bay, it would have been a beautiful picture. It got a Wow out of me!